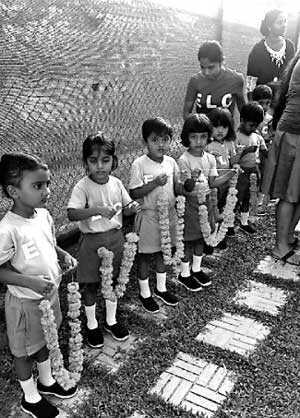 The Early Learning School in Habarana, a joint project with the Rotary Club of Colombo West and the Hamamatsu Rotary Club of Japan, opened on 22 February. 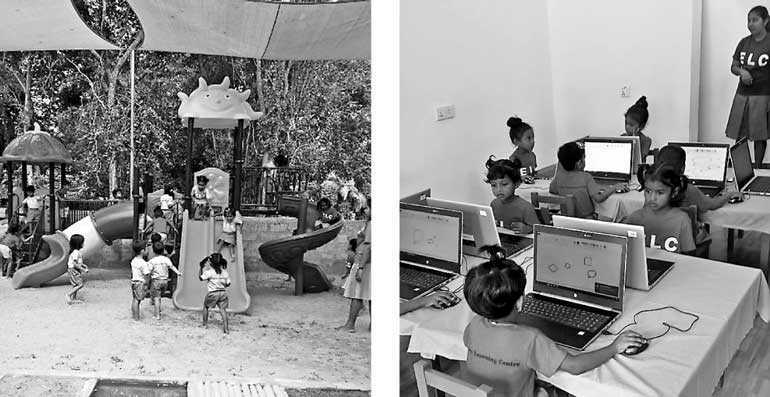 The school is based in a small town in Habarana where communities are marginalised within the North Central Province of Sri Lanka. Rotarians aim to see communities better equipped and empowered with skills and mindset to address their own needs in order to have more opportunities in life. The Early Learning Centre (Model Montessori School) will provide quality early learning education to children by building a respectful and caring relationship with the children and their families working together to deliver effective learning and positive development experiences relevant to children in their local context. The children are admitted from the age of two years to five years. The school currently has 50 children between the ages of two years to five years. This project was a Global Grant from the Rotary Foundation amounting to $ 32,000. It was an auspicious time to open this school as Rotary celebrated 114 years on 23 February. Rotary which commenced in 1905, is a worldwide organisation whose membership now exceeds 1.25 million in over 200 countries with the motto of ‘Service above self’, and in Sri Lanka itself, has more than 1,400 Rotarians in 70 Rotary Clubs. The Rotary Club of Colombo West, one of the largest clubs in Sri Lanka, with 90 members is actively involved in community service projects across the country.